Marketing specialists are exceptionally lucky. The Internet is flourishing with marketing blogs that are useful for anyone in the field, from an aspiring student to an expert. Whether you enjoy a 3-minute read that will double your conversion or a heavily-researched article that will also tell you how and why your conversion has doubled - you'll easily find them both and anything inbetween. As a regular reader of dozens of marketing blogs, I've decided to put together a list of my favourite ones. These blogs give advice on general marketing, social media marketing, content marketing, SEO, and so on - everything you need to know to be a marketing specialist. Included because: Buffer's blog consists of three different sub-blogs. One is called "Buffer Social" where you can find useful and well-written advice on social media marketing. The second one is "Buffer Open" whose screenshot you can see above. Members of Buffer team write about building a happy work culture - and that is genuinely an interesting read, amplified by the impression that Buffer does have a happy, friendly work culture. The next one is Buffer Overflow. You can discover interesting things about development and engineering there. I am not saying that it's an essential read for a marketing specialist, but have a look if you're interested in such things. And if not, stick to the first one. There is another Buffer sub-blog that's coming soon - Buffer Happiness. I am not sure what it means yet, but I am quite excited. What I enjoy most about Buffer's blog, though, is the studies they carry out. 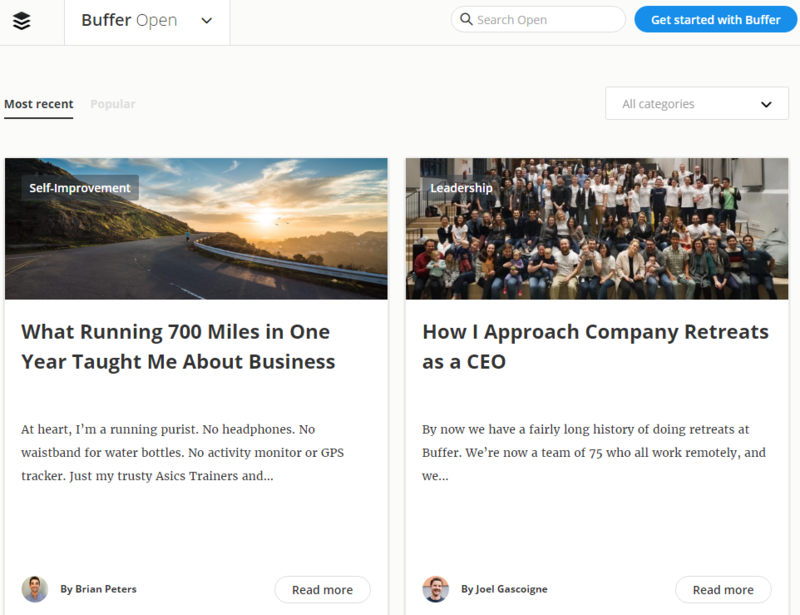 Whenever Buffer does a study, you can be sure it's reliable, easy to grasp, and will be quoted in dozens of other blogs. Included because: Awario Blog will tell you everything you need to know about SMM. The articles range from easy-to-grasp to deeply researched to purely entertaining. Topics include brand exposure, reputation management, social selling, holiday marketing, and so on. This is a relatively new blog, so you won't find dozens and dozens of articles (yet) but it's a well-rounded collection of everything you need to build a social media marketing presence from scratch. It is also a go-to place for a specialist that feels like they're running out of ideas, as every post has some new or rare ideas to try out in your SMM strategy. 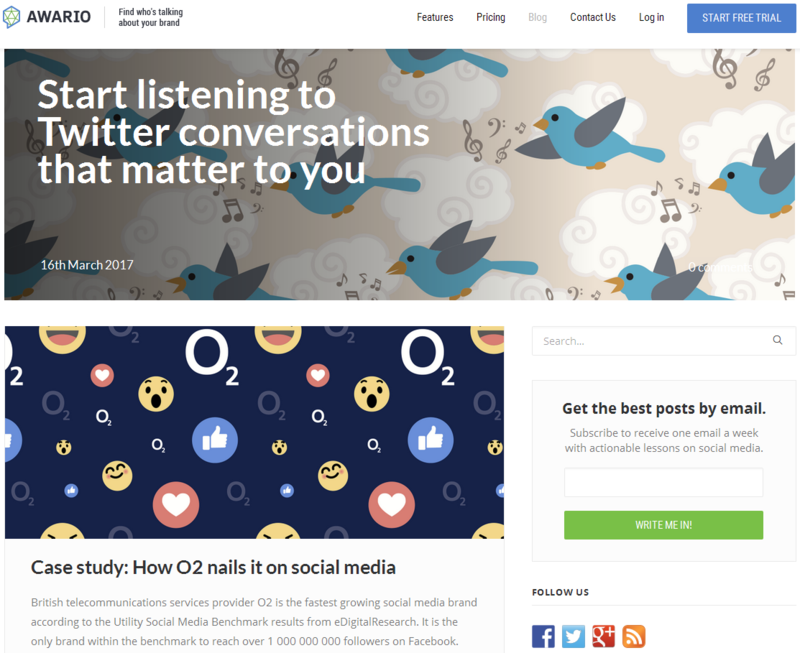 As the blog is behind a social media monitoring tool, there are also a number of articles that teach precisely social media monitoring. You can not only find out the benefits and tricks of the process, but actually follow step-by-step guides that will lead you through it all. 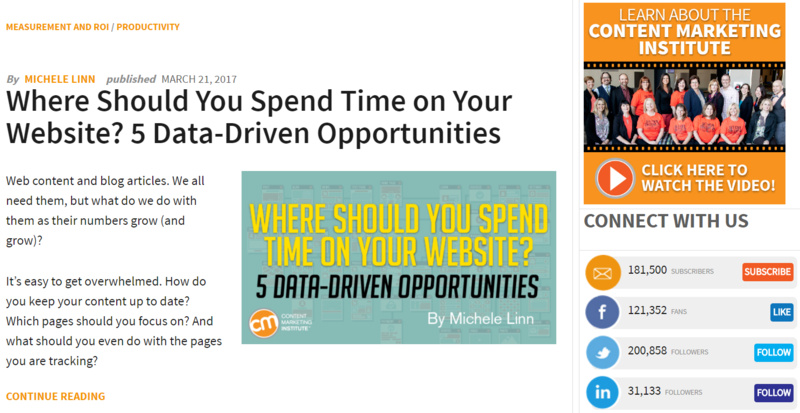 Included because: Neil Patel is one of the most popular marketing bloggers. He's considered the guru of digital marketing. Neil regularly contributes to a number of blogs, including but not limited to Quick Sprout (content marketing) and Crazy Egg (conversion rate optimization). In his personal blog he shares how he managed to grow traffic and build his personal brand, and how you can do the same. His posts are systematic, actionable and lengthy. They include numerous "How-to" posts, "N ways to" and tool recommendations. Neil understandably talks a lot about blogging - he's been a blogger for more than 10 years. If you're running a company blog, his thoughts and tips on this matter are absolutely essential to read. 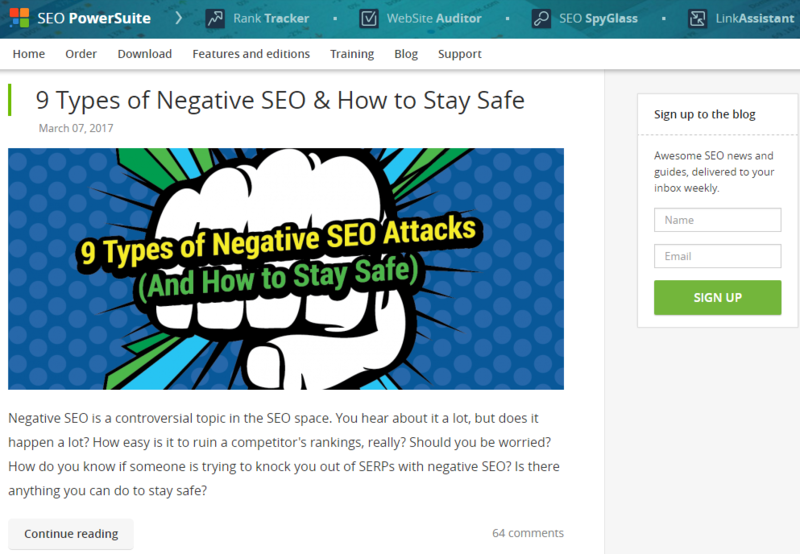 Neil doesn't seem to hide any of his successful methods, he'll even tell you how he managed to write 4294 blog posts. Included because: Link-Assistant.Com, the blog behind the SEO Powersuite tools, is amazingly practical. Whatever questions you have on SEO, they'll have a thorough answer. If you're new to SEO, you'll find the most detailed step-by-step guides there. If you're not new, you'll discover lots of tricks and details you've never known. All the methods, tactics and advice they offer are always heavily backed up by research. The authors don't count on you blindly following their advice: they suggest experimenting and observing what brings results. And in most cases you can see why they were right. Most times, Link-Assistant.Com is one of the first to write about whatever new is happening in the SEO world. Unlike some SEO bloggers that prefer to stick to old methods and once in a while proclaim that "SEO is dead", experts at Link-Assistant.Com calmly explain what has changed and what steps you need to take after whatever Google has done. That is why we love them. Included because: Hundreds and hundreds of stats and graphs on everything digital. It's the nerd's heaven. The range of topics you can see on the screenshot above, and it's not all. Most of information is free, however for some you'll need a PRO account. 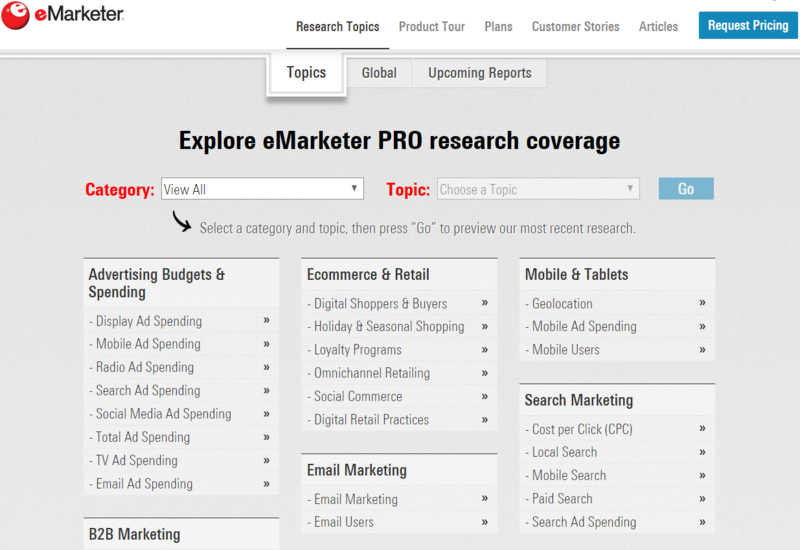 Included because: It has everything you will ever need for content marketing. Content marketing is the hot topic. There are always some new methods, tips, research. Content Marketing Institute is the most complete, constantly updated, collection of all materials in the field. They post every day, including weekends, and holidays. As the name suggest, it's more than a blog - it's closer to the online university. The website includes a white paper and e-book library, webinars, podcasts, training courses, a list of instructors, and so on. There are dozens of contributors to the content of the Content Marketing Institute, so you'll find more and less useful articles, applied and completely theoretical research, and so on. The blog is insanely popular and advised for reading by all notable marketing specialists. Included because: It's a personal blog of Dmitry Dragilev, a marketing specialist with an impressive biography and loads of experience. His notable achievements include growing a startup from 0 to 40M pageviews as the only marketer in the company. The startup was eventually acquired by Google. His another achievement is growing his blog JustReachOut.io from 0 to 2000+ paying customers in 8 months. 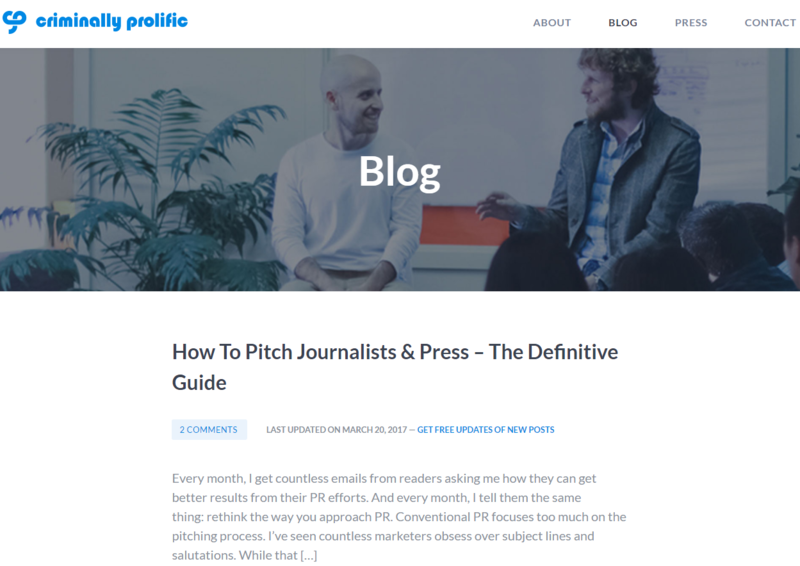 In the Criminally Prolific Blog he shares advice on how to achieve similar results through PR and marketing. I personally enjoy his tips on email marketing a lot, especially because this field is not talked much about these days, although everyone still uses email marketing. Included because: These guys are another group of people that are marketing gurus since the beginning of time (since the beginning of inbound marketing, to be exact). 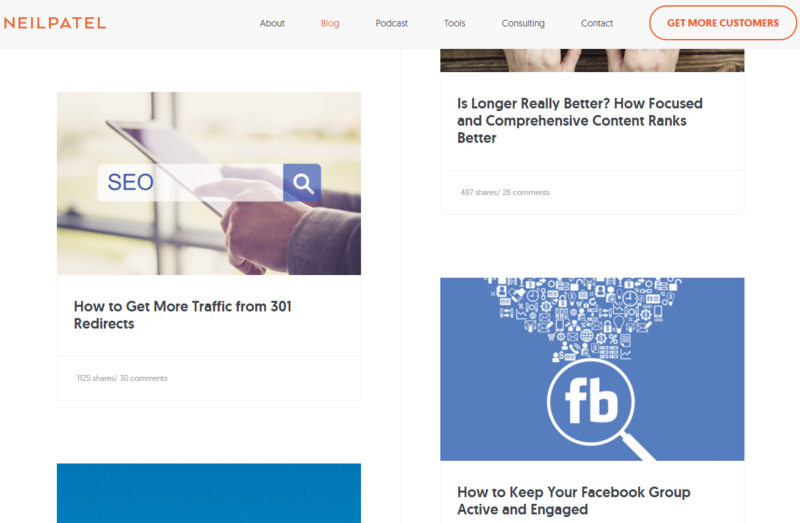 In addition to the regular authors, they accept plenty of guest posts from influencers in the field (Neil Patel that was mentioned above is, for example, a regular guest blogger). The blog contains hundreds practical advice for marketers of every level. 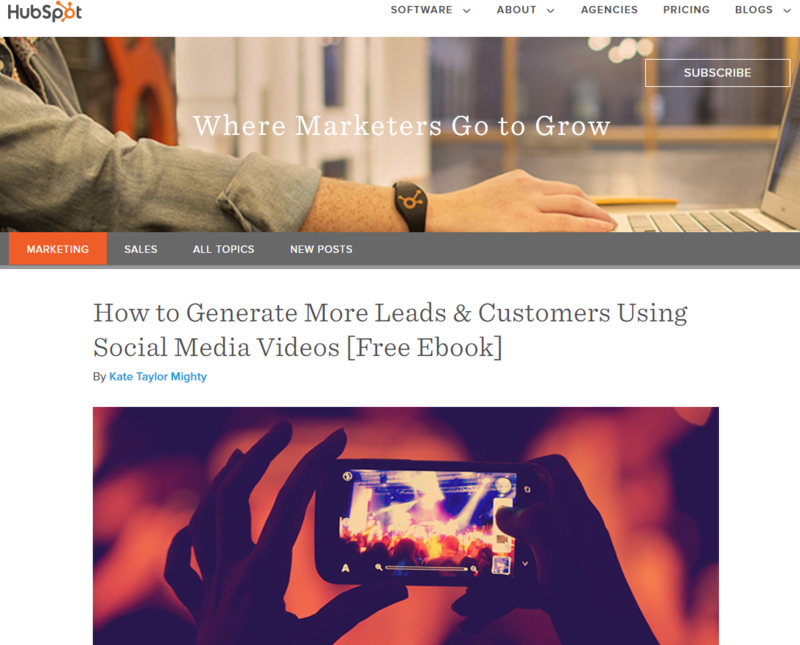 Similarly to Buffer's blog, this one is divided in two sub-blogs: marketing and sales. Each is good to check out and decide which one (or both) you want to follow. Included because: Millennial Marketing is a very well-focused blog with all the latest research on millennials and generation Z gathered in one place. This is extremely convenient! Whenever you have a question about millennials, however odd it may be, most likely you'll find the answer in there. As the most researched generation in the history of marketing, it's rather exciting to sometimes dig into all the findings and thought the authors have. 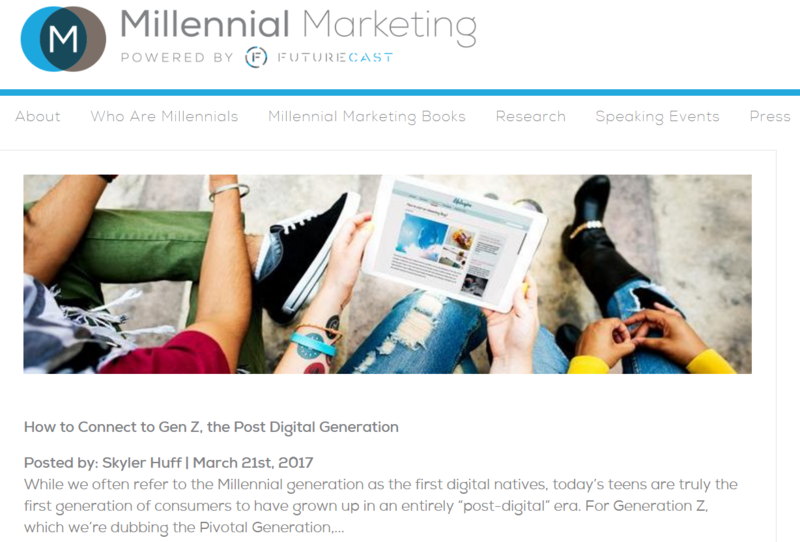 The blog is written by six millennial marketing experts, regular contributors to Forbes, PSFK, American Business Journals. They cover topics such as the major millennial trends that influence consumer behavior and attitudes, new marketing strategies that win with millennials, examples of brand best practices that can be applied to drive engagement, and so on. What is your list of "essential" blogs? Who are the authors that keep you up-to-date with the latest marketing trends? Let me know in the comments!